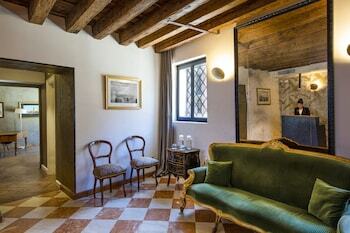 It's time to call the boss, declare yourself off duty and acquaint yourself with the delights of Venice! Venice daydreaming? From flights to accommodation, tours to car rental, ebookers are the ultimate travel whisperers. You'll make savings of up to 16%* if you opt to fix both your airfares and hotel rooms with us. Break free from your everyday with a few clicks of the mouse. With over 500 partner airlines and more than 500,000 properties globally, you're closer than you think to invigorating, new experiences. Think there might be something cheaper out there? 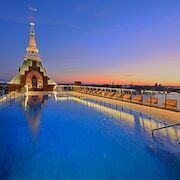 Book a Flight and Hotels package right now, and if you happen to come across something better within 48 hours pre check in, we'll meet it and refund the difference with our Price Guarantee service. Load up those suitcases. It's time to get a move on! From sprawling deserts to mountain peaks and every seaside shack in between, let us help you to set your wanderlust free. Terms and Conditions apply. 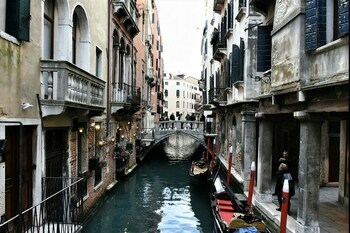 This area of Venice is populated by about 51,000 locals. 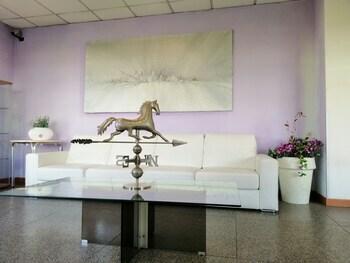 This destination is located 8 miles west of Cavallino-Treporti, and 240 miles north of Rome, the country's capital. 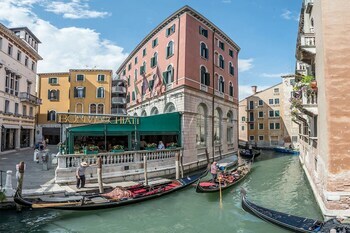 Rialto Bridge and St. Mark's Basilica are, of course, the most renowned attractions here. If you are planning a holiday for the whole family, trips to Gomma Magica and New Jesolandia are guaranteed to put huge smiles on everyone's faces! If that isn't enough to wear the little ones out, why not head along to Adventure Golf and Antiche Terme di Giunone as well? Ever wanted to find out how your wine starts off as a bunch of grapes and ends up as a delicious drop in your glass? Then consider spending a day at the Venissa Vineyard and the Savian Vini. If you still haven't had your fill, continue your adventure at the Cantina Marco Polo 6811. Want to up the ante? 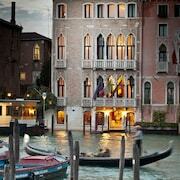 Take on the roulette dealer at the Casino of Venice or the Casino Vendramin-Calergi. 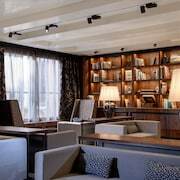 Or, if you're not the betting type, grab a cocktail and simply absorb the shimmering atmosphere! The Ca' Noghera Casino of Venice and the Casino' di Venezia are also ready and waiting! Walking around the manicured garden beds and plant displays at the Papadopoli Gardens feels like drifting through a magical fairyland. Remember those laid-back childhood days spent stretched out on the grass watching clouds pass over? Relive those memories at San Giuliano Park and Giardini Pubblici. If you're looking for more options, find a good spot and let a few hours pass lazily by at Giardini della Biennale or Parco delle Rimembranze. If you're desperate for some peace and quiet, find a spot by the water and savour the picturesque surroundings at Lagune von Venedig. Is it time to head out into nature for a bit of fresh, clean air? Sit back and relax among the delightful surrounds of San Michele Island and San Francisco del Deserto. Ca' Rezzonico and the Peggy Guggenheim Museum are perfect places to escape a less-than-perfect day. Take a look at the absorbing exhibits and ask the staff about group tours and other educational opportunities! If you're not short on time, also go to the Academy Gallery and the Palazzo Grassi. From the design of different ships to the artefacts found onboard, the intriguing displays at the Naval History Museum and the Maritime Station will captivate anyone with an interest in Venice's maritime history. As every explorer knows, our world is an extraordinary place. Nowhere is this more obvious than in the packed cabinets at the Venetian Museum of Natural History and the Museo dell'Estuario di Torcello. With a good number of impressive art collections to admire, you might need a friendly push in the right direction. 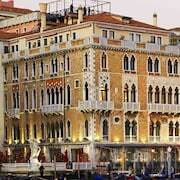 We recommend picking up a coffee and spending some time at the Punta della Dogana or the Fortuny Museum. If you've still got an itch to scratch, also feast your eyes at the Palazzo Querini Stampalia and the Correr Civic Museum. Calling all history fans! You can discover more about the rich and interesting past of this region at the Ca' Rezzonico Gallery and the Museo del Merletto. 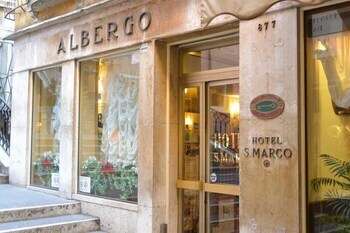 For an even deeper look into yesteryear, also plan an excursion to the Negozio Olivetti and the Gallerie dell' Accademia. Gain a deeper understanding of times gone by when you stop by the Squero di San Trovaso and St Mark's Campanile. Why not try Ca' d'Oro and Forte Bazzera? Bridge of Sighs and Scalzi Bridge have stood guard over the city's waters for what seems like an age, so the least you can do in return is pay them a visit. They aren't the only longstanding crossings. Guglie Bridge and Bareteri Bridge have also been awaiting your arrival for a long time. Be awed by the extraordinary architecture and learn about the tumultuous past of Forte Marghera and Forte Poerio, two impressive defensive complexes. 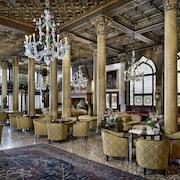 For a small glimpse into the worlds of the rich and famous, stop by Doge's Palace and Palazzo Barbaro. 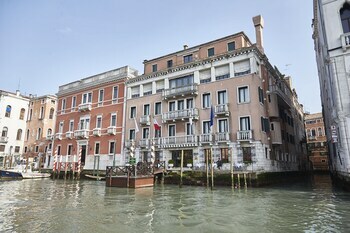 For more of the luxurious life, take in the magnificent architecture at Palazzo Contarini del Bovolo and Palazzo Labia. No matter what you believe in, you're sure to enjoy the tranquil atmosphere at Basilica of St Mary of Health and St. Mary of the Friars. 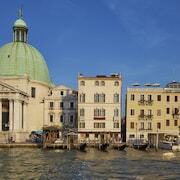 Basilica di San Giovanni e Paolo and Church of San Giorgio Maggiore are also must-sees for many spiritual devotees. When you are exploring new cities, it's sometimes the more obscure sites that'll replay in your memories when you get back home. Two good examples here are Academy Bridge and Venetian Ghetto. The National Library of St Mark's and the Ca' della Nave Golf Club also offer a great day out. Excellent honeymoon hotel Fantastic location with gorgeous views, superb service and facilities. Breakfast served overlooking the Grand Canal, beautiful rooftop bar. Enormous, decadently furnished suite. A perfect honeymoon treat! The property is in such a beautiful and quite area. 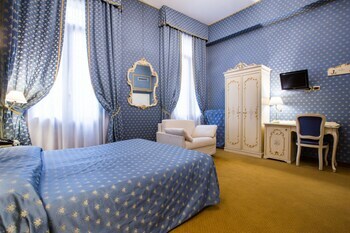 The room was beautiful and the staff was very polite and pleasant. Will definitely be returning. Nice Good location. Hotel ferry very useful. Not happy with some of the services - no free complementary water after first day, questioned multiple times before being lent an umbrella. If I am pay 300+ per night, you would expect a five star hotel to be able to provide some of the above services. 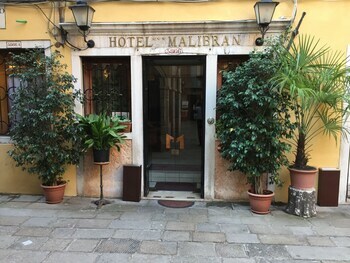 Classy hotel with friendly staff ideally placed for main railway station, vaparetto, and tourist attractions. 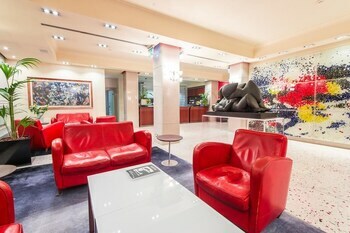 Great location, beautiful room, excellent service.